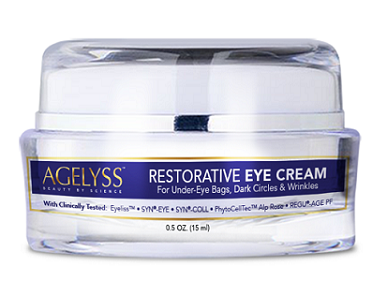 In this review, we will take a closer look a product called Agelyss Restorative Eye Cream. This anti-aging eye cream is designed to help revive tired looking eyes and restore the supple, more youthful appearance. Using the latest biotechnology research, the manufacturer Agelyss has formulated an eye cream to specifically restore the delicate skin that surrounds the eye. This firming eye cream is made to help reduce wrinkles and fine lines, as well as dark under-eye circles and puffiness. Ultimately, this silky cream tightens the skin and soothes the skin tone for a lively, more youthful appearance and feel. What makes this product stand out in comparison with other eye cream reviews is the fact that Agelyss Restorative Eye Cream contains 5 clinically proven, patented, and trademarked ingredients for a safe and effective solution. Keep on reading to see what other benefits this eye cream will provide you with. What’s in Agelyss Restorative Eye Cream? Agelyss Restorative Eye Cream provides a full ingredients list on their official website, however, the product contains 5 patented ingredients which we will discuss below. Other brands eye cream reviews fail to provide the necessary information the customer needs to ensure they are purchasing the correct product. Here the customer can see that the manufacturer is open and clear about what is in their product. Also important to add is that the product has been manufactured according to current Good Manufacturing Practice (cGMP) as well as an FDA registered facility. This ensures the product meets the highest standards and offers a safe and effective solution. In addition to this, the ingredients are also clinically proven and selected according to the effectiveness found in research studies. This ensures the product the customer receives is of a high standard and exceptional quality. Eyeliss – This ingredient contains three active molecules (namely hesperidin methyl chalcone, dipeptide VW, and lipopeptide Pal-GQPR). It helps to reduce under-eye bags and puffiness. SYN-EYE – Provides bio-actives which rapidly improve eye contours, deep wrinkles, and smile lines. It also helps to improve skin texture for a smoother look. REGU-AGE PF – Is a bio-active that protects delicate skin which surrounds the eyes and reduces dark circles and puffiness. SYN-COLL – A synthetic tripeptide that helps slow down the skin’s aging process, boosts collagen production, protects against collagen degradation, and effectively reduces fine lines and wrinkles. PhytoCellTec Alp Rose – Based on the stem cells found in the alpine rose leaves (which provide epigenetic factors metabolites). Helps preserve human skin stem cells’ function and skin cell renewal. What makes Agelyss Restorative Eye Cream so unique is the fact that at least 10% of the ingredients in this product are active and backed by clinical studies. Moreover, the product contains 5 patented and trademarked ingredients which are reassuring that this anti aging eye cream is effective and safe. With our research, we also found that the manufacturer’s products are formulated without any animal by-products, synthetic dyes, hormones, parabens, phthalates, or petrochemicals. The products also contain no artificial fragrances. Moreover, they only use 100% pure and natural steam distilled/cold-pressed essential oils. The products are also not tested on animals and are committed to creating cruelty-free skincare products. Agelyss Restorative Eye Cream is vegan-friendly. Customers will be happy to know that this firming eye cream is suitable for all skin types and ages. It can also be used on sensitive, mature, and sun damaged skin. This is very unique as many people struggle to find products they can use that is not harsh on the skin and which does not contain toxic substances that may provoke skin irritation. Luckily this product covers all the right areas. It is clearly found in other eye cream reviews that other brands fail to provide such high-quality ingredients. How Do You Use Agelyss Restorative Eye Cream? The manufacturer provides clear and straightforward instructions on the use of Agelyss Restorative Eye Cream. This is very beneficial for the customer to know when and how the eye cream should be used. The instructions can be found on the manufacturer’s official website as well as on the label of the product. The product can be used by both men and women. It is recommended that users message the cream around the eyes using the tip of the finger. It is best to use gentle circular motions as the skin around the eye is very delicate. The product should be fully absorbed. For best results, use the product daily – during day or night-time. Users may also adjust the usage of the product to their own personal preference as to that what works best for them. When it comes to seeing results, customers must remember that each person is unique and the time results will start to show may vary from person to person. It may take several days before you see results. When looking at the long-term effects, one may only start to see results within 4 to 6 weeks. The manufacturer takes care of their customers when it comes to the price of Agelyss Restorative Eye Cream. It is available online from their official website as well as on Amazon. One jar will cost a total of $59. The product comes in a jar that when used as suggested, should last about one month. However, if you purchase 3 jars, you will only pay $39 per jar. A savings pack of 6 jars will cost $32 per jar. In addition to these cost-effective bundle deals, the manufacturer also offers free shipping on all orders of $79 or more. This means that there is free shipping available on the savings packages. 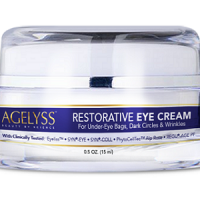 The manufacturer of Agelyss Restorative Eye Cream offers a risk-free 365-day money-back guarantee. If you feel the product you have purchased is not offering the benefits the manufacturer claims, you can return the product within the time period provided for a full refund. Thus, if at any time you are unsatisfied with the product, you may return opened, used, empty or sealed containers for a full refund of the purchase price. The reason why the manufacturer is so confident and offers a 365-day return policy is that they understand that one may be skeptical about purchasing a skincare and beauty products online. Also, the manufacturer understands that each individual’s result may vary. It is also clear that the manufacturer can be as confident as they are due to the fact that they provide a product that is manufactured according to the highest standards and offers a product that is backed by clinical studies. The product does not seem to have any possible side effects and customers have not mentioned any problems related to the use of the product. This is probably due to the fact that the manufacturer uses clinically proven ingredients and does not contain any unnecessary ingredients that are harmful or toxic. In addition to this, the product has been developed for all skin types and ages, as mentioned previously. In conclusion, it is safe to say that this is by far one of the best anti aging eye creams that we have reviewed. 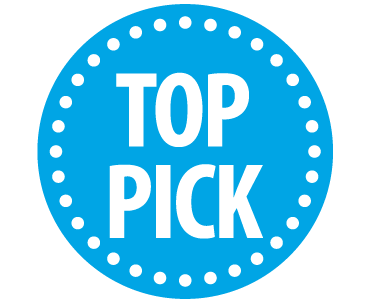 Not only does the manufacturer provide all the crucial information a customer needs to make a clear decision, in comparison with other eye cream reviews, they also provide a high-quality product. The rock solid 365-day money-back guarantee on products that are opened and sealed. The great reviews concerning the safety and effectiveness of the product. The high quality of the ingredients that is clinically proven, patented and trademarked. The cost-effective bundle deals that ensure customers’ needs are met at an affordable price. All of the above is made possible due to the fact that the manufacturer puts the customer first. We are certain that this product which provides deep dermal repair and protection will work to revive tired eyes. Overall, Agelyss Restorative Eye Cream is definitely a product worth trying and we confidently recommend the use thereof.